Isabella Blow was a fashion editor and an international style icon. Her unique, free spirit was admired and she inspired many artists and designers. High-profile names in the fashion industry owe their start to her, Philip Treacy, Alexander McQueen, Sophie Dahl and Hussein Chalayan among them. In 2007, Isabella Blow committed suicide after having severly suffered from depression and ovarian cancer. 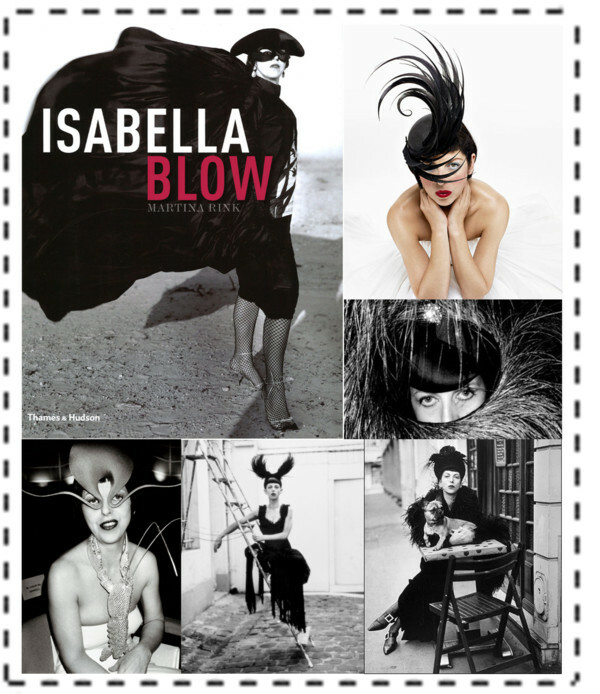 Today is the official launch of an amazing book dedicated to her: “Isabella Blow” by Martina Rink with an introduction by Philip Treacy. First presented in Berlin last Thursday at Fashion’s Night Out at The Corner, it is an hommage to her original, outrageous personality. This lavishly illustrated volume includes reminiscences and stories along with personal letters written exclusively for this book by Mario Testino, Manolo Blahnik, Dita van Tesse and Anna Piaggi, just to name a few. The author Martina Rink is a Parisian-German born Fashion Director who began her career working with Isabella Blow as her personal assistant. Her insight knowledge makes this oeuvre so special. £29.95, Thames & Hudson, ISBN 978 0 500 515358.